I am terrible! It is November and I have my Christmas tree up already, and am getting my decorations out!!! I just could never help myself and can’t wait till 1st December, I don’t know how those who decorate on Christmas Eve do it!! Well in my decorating I wanted to make a Christmas Wreath to match this years theme of purple and blue peacock colours. And figured I would share how I made it as this weeks tutorial. 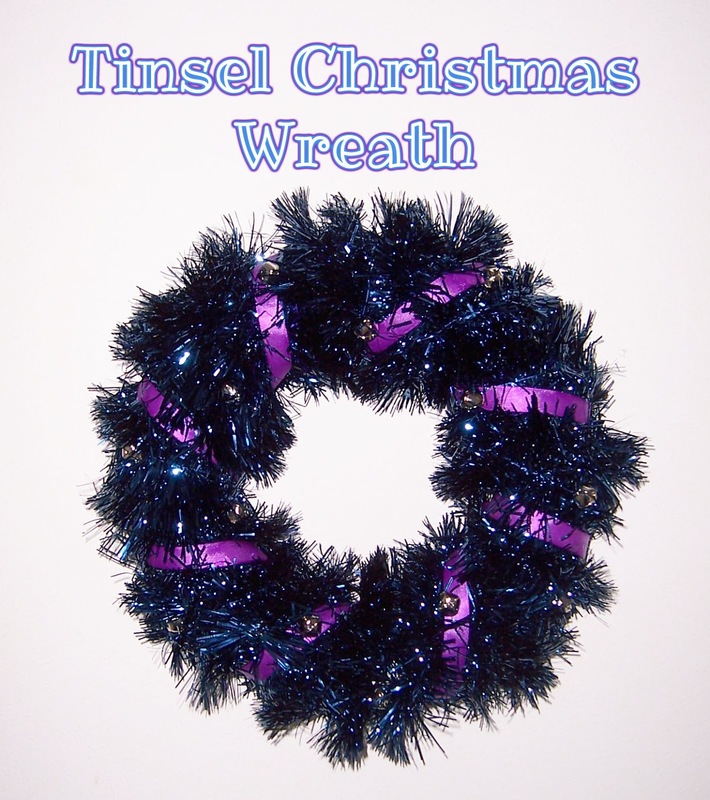 Wrap your ring with the tinsel. 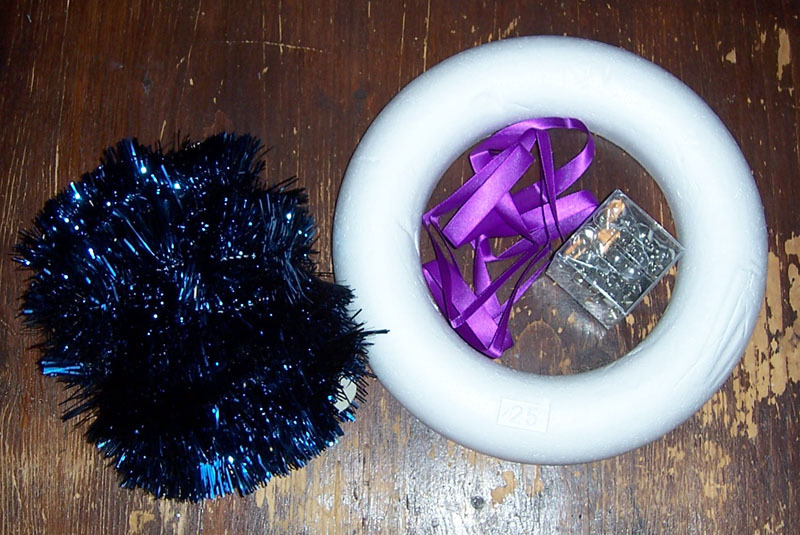 I used a pin at each end to secure it into the ring, but you could hot glue if you plan to keep the wreath for next year too. Wrap your ribbon around the tinsel. Again I secured it at the back with a pin. It is hard to see, but in the last photo I have added bells. I threaded them onto a piece of cotton thread and wrapped that around the ring like the ribbon. And again I secured with a pin. And thats it! Super easy huh? You could use baubles instead of bells if you like. And I am going to look for some of those battery LED lights, I think those would look awesome on it too! This entry was posted in Christmas, Christmas 2012, Christmas Tutorials, Seasonal, Tutorials on November 25, 2012 by Handmade Cuddles.